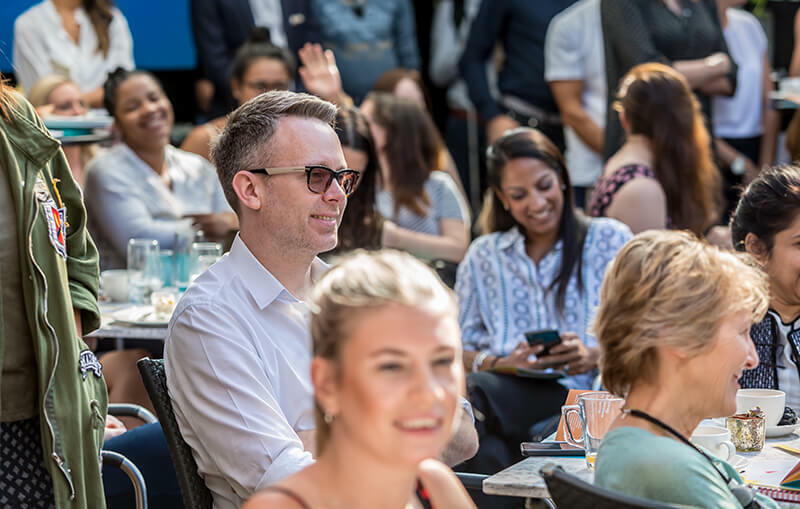 It was standing room only when more than 100 HR executives and senior leaders from the world of advertising and media world flocked to the Century Club in London’s Shaftesbury Avenue on Wednesday August 1. 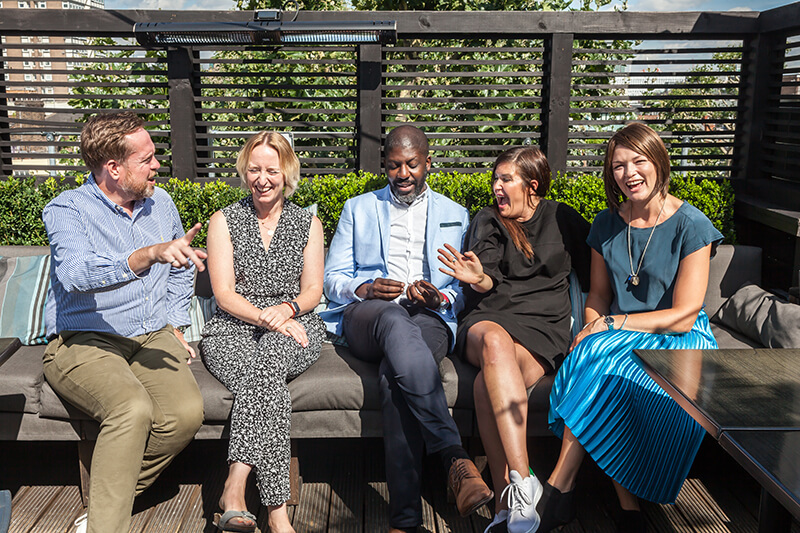 The breakfast meeting, held on the roof terrace in glorious conditions, was corporate wellbeing firm PUSH’s inaugural ‘Starting The Conversation’ event which showcased the practical ways that employers could support mental health in the workplace and build resilience in teams. 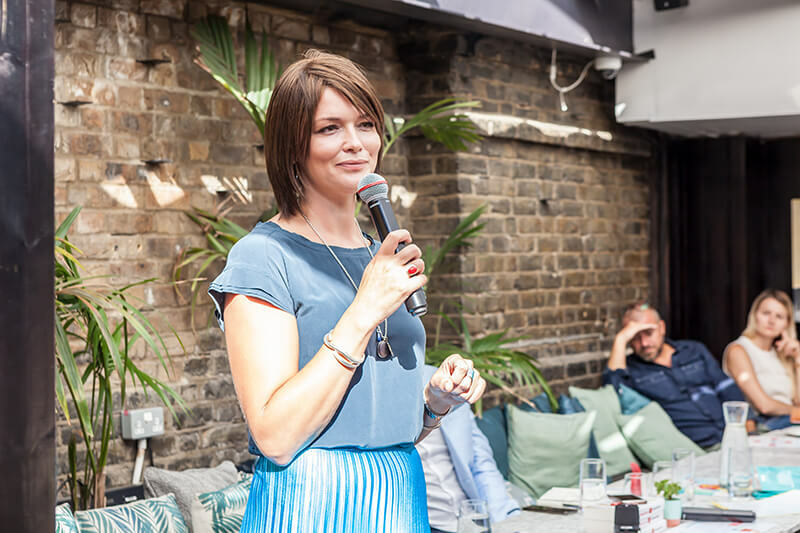 PUSH nutritionist Nicola Shubrook devised a healthy and nutritious menu for attendees including avocado on toast, date and hazelnut balls, chia seed pots and fruit platters. 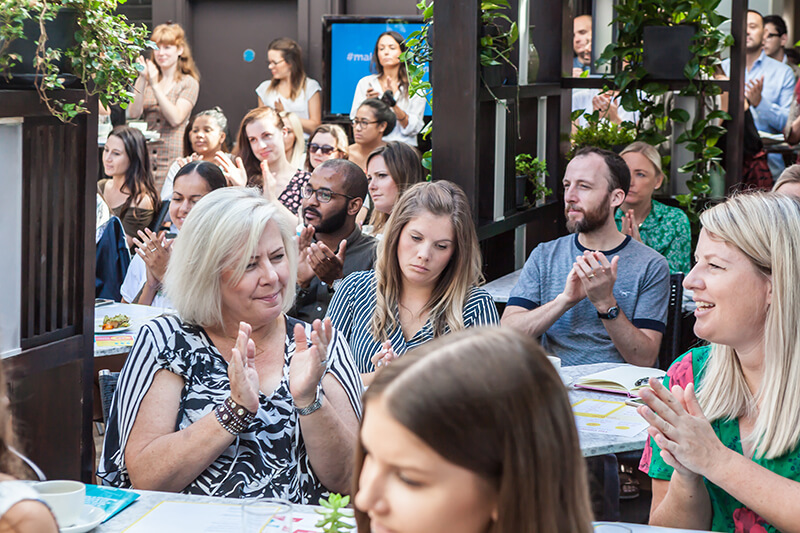 She also explained how key food groups work wonders for mental strength and cited the example of Omega 3, an essential fatty acid found in things like oily fish, chia seeds and ground flaxseeds, which is crucial for brain function and development. 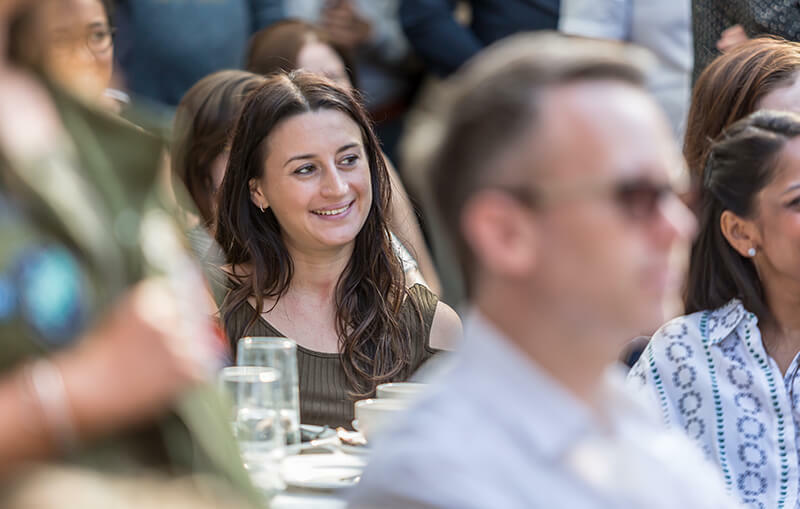 BBC News’ UK futures editor Matthew Shaw, spoke openly about his experiences with depression and what employers can do to embed mental health awareness and wellbeing within workplace culture. 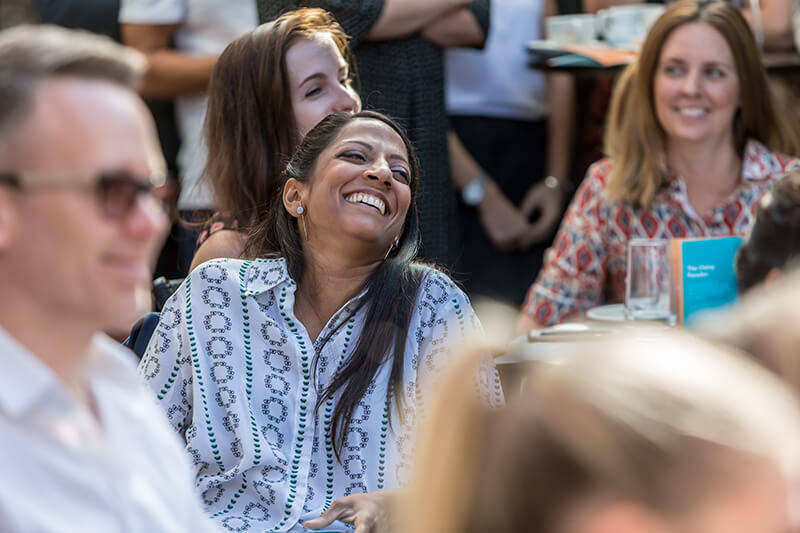 Simple questions like ‘Are you okay?’ and listening rather than empathising or trying to offer a cure were among the small acts of kindness that could really make a difference, he insisted. 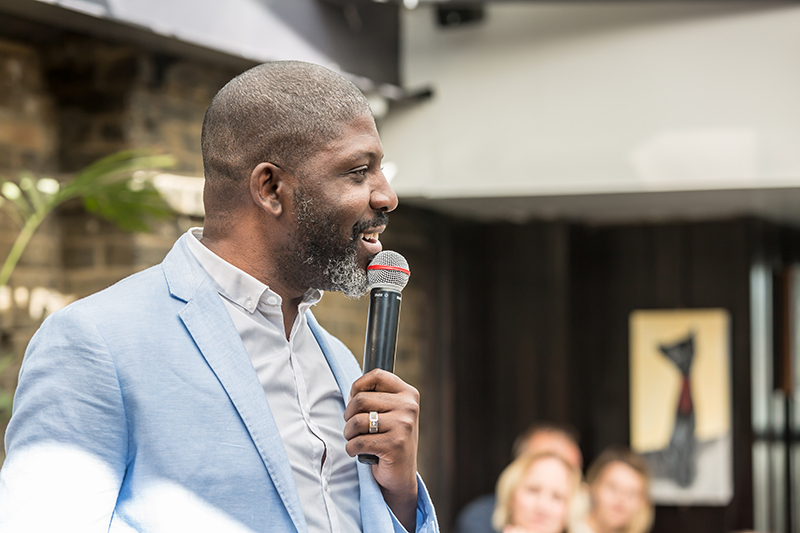 Meanwhile, David McQueen, an international professional speaker and executive coach had the room in stitches with his frank and engaging talk on how to build resilience in teams. In one exercise he asked audience members to face the person or stranger next to them and pay them a compliment. Everyone was talking, smiling and giggling. 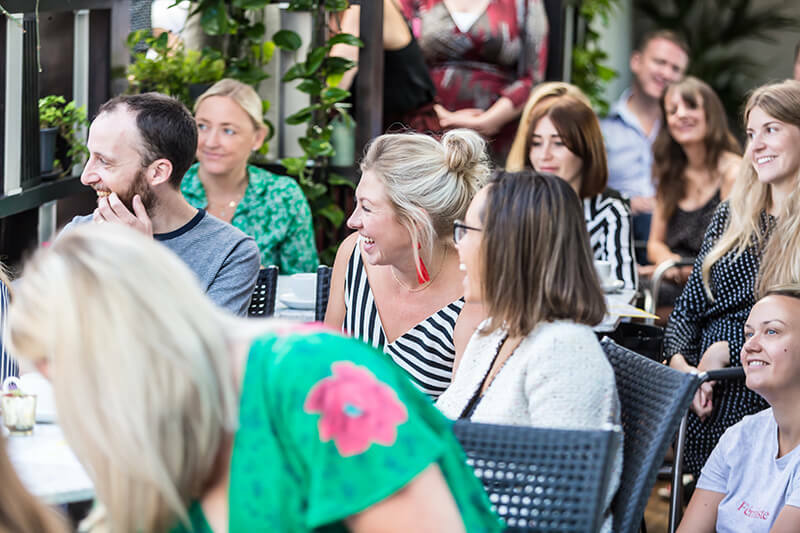 Laughter also rang around the terrace when PUSH coach and speaker Tamson Amara, asked delegates to turn to one another and reflect on a ‘confession’ of something they that they regularly do or say that they wish they didn’t. Amara explained the The Chimp Paradox – a framework that splits the human brain into three teams: The Human (which corresponds with logic, purpose and fact), The Chimp (which refers to emotion and feelings) and The Computer (which relates to automatic programmes, beliefs and experiences) and said most work spaces were designed for people to bring their best selves to work (i.e) The Human, which corresponds with following rules, collaborating, seeing the bigger picture and being calm. The difficulty arises when the chimp starts smashing through – perhaps because of unmet emotional needs or a lack of perspective – and disrupts thinking, office processes and environments. 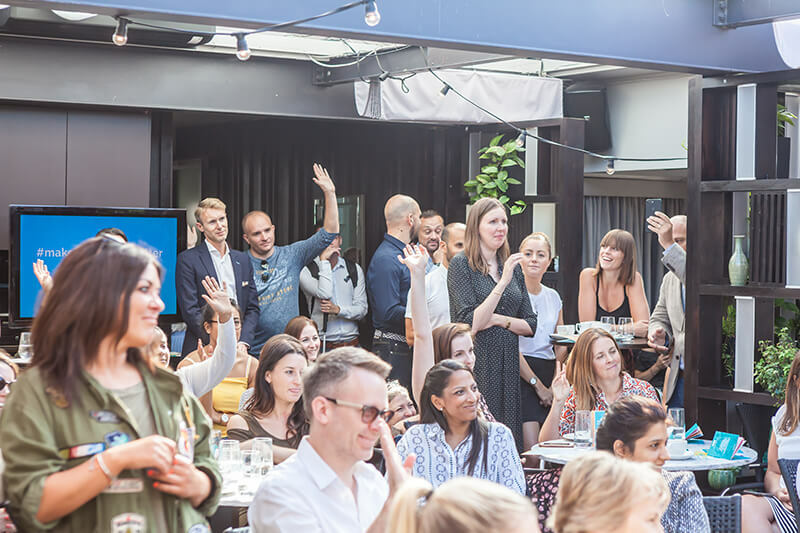 Such a tool, Amara insists, helps users increase self-awareness and develop the psychological skills to help acknowledge and manage negative thought patterns. 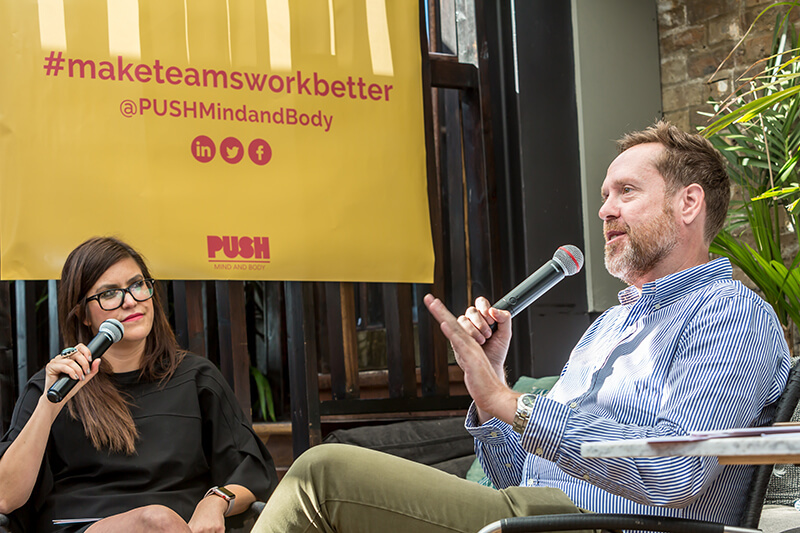 Of course, attendees also heard from facilitator and PUSH founder Cate Murden throughout the morning, who pointed out that it is employees who “take the hit” in an increasingly fast-paced, challenging and relentless world, especially if workplaces take a traditional or outdated approach to wellbeing. Murden worked in advertising for 16 years before being signed off with stress so is quick to recognise the warning signs. 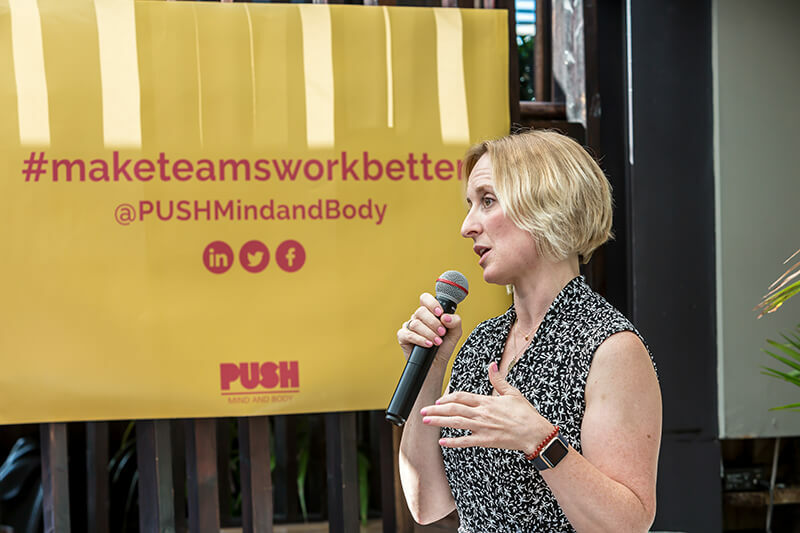 In fact, it’s precisely why she set up PUSH – to help companies create work spaces that are more open and understanding about wellbeing, particularly mental, and equip people with the skills to develop greater self-awareness and the tools needed to help them better manage their overall health. “The UK workplace lost £35bn due to mental health problems last year. That’s not just days off sick – that’s a loss in productivity. How someone is feeling is going to directly impact how they work,” she declared. 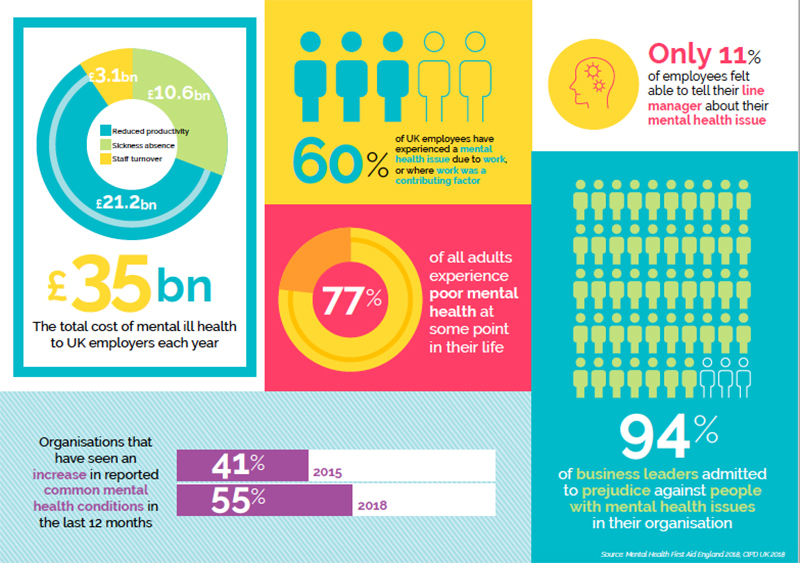 According to Murden, 60% of employees experience poor mental health yet only 11% feel like they can talk to bosses about it – unsurprising, she said, when a staggering 94% of bosses said they would change their opinion of people in their organisation with mental health issues. 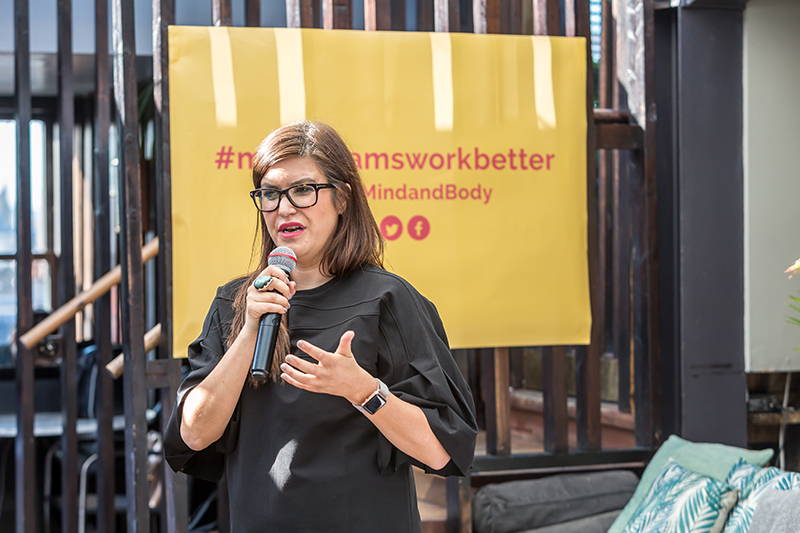 Organisations, Murden attests, are realising that wellness programmes are not merely a fad but an important part of supporting workers to be their best which will ultimately benefit the company in the long run too. “Put simply, we were blown away by the event today – we had double the audience numbers we expected and everybody loved what was discussed. “What this says to me is that we all recognise that change is needed and that, whilst in many cases, people aren’t quite sure what to do next, we’re saying that we recognise this is is a serious problem and we are prepared to commit the time and energy to create that change. 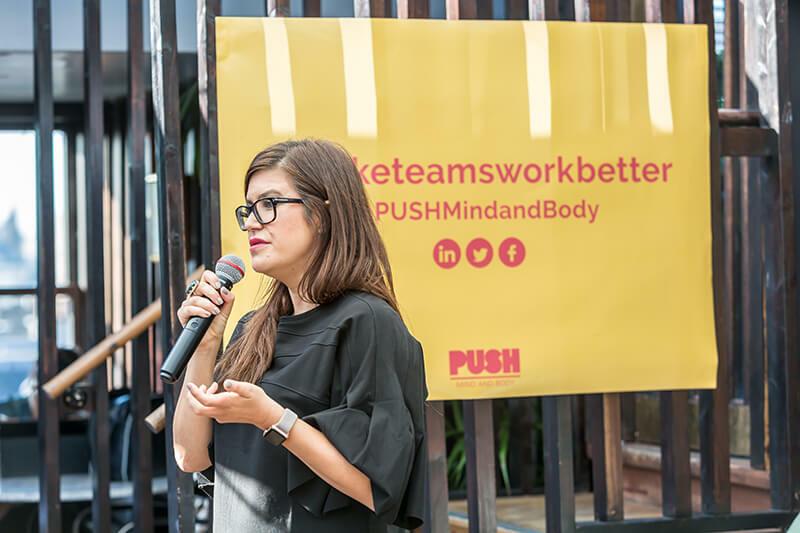 The PUSH team is passionate about empowering companies to create open-minded cultures. 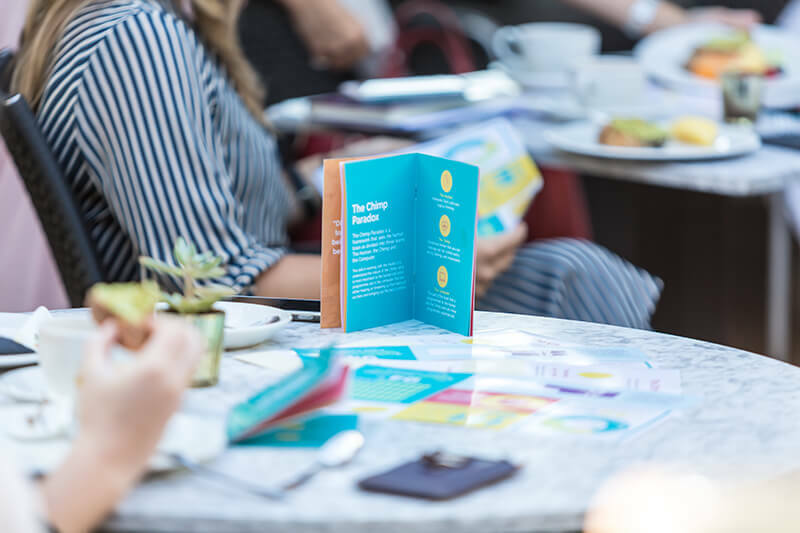 Our team is trained Mental Health First Aiders, we mix this grounding with our own bespoke mental health programme that offers a well-rounded solution, arming your workforce with the tools to embrace mental health and support each other. Get in touch to find out more. Read more on Do wellness programmes really work? 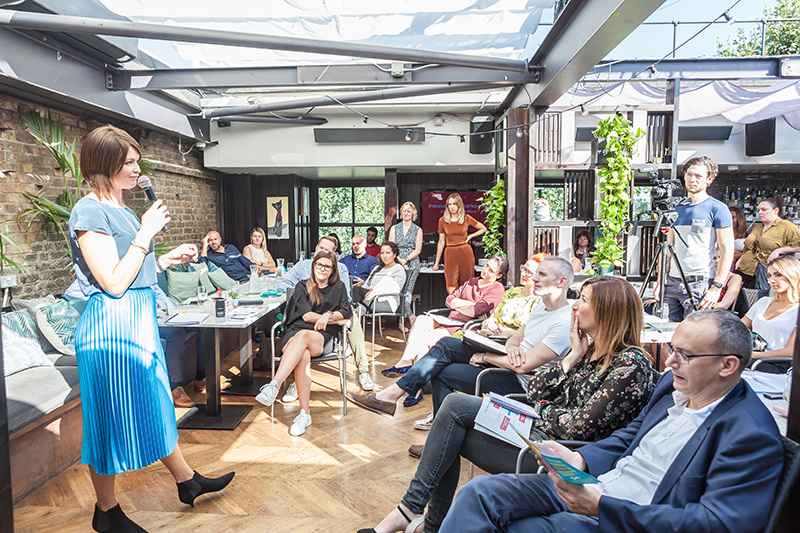 , how Sainsbury’s are leading the way in creating open-minded cultures and how our partnership with Ruby Wax is helping to provide a mindful solution to the modern stress epidemic.